Most of us are familiar with teasel. It grows in most states, including Colorado where it is designated a “List B” species in the Colorado Noxious Weed Act. That means that, if you live in Colorado (or several other states), you need to declare war on any plants on your property. Good luck. Teasels are easily identified by the spiny flower head left behind after the petals have fallen, as you can see in these photos. 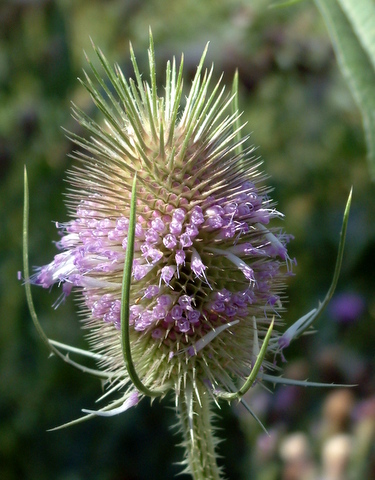 There are two species listed as noxious weeds in Colorado—the Common Teasel (Dipsacus fullonum), shown, and its lookalike cousin Cutleaf Teasel (Dipsacus laciniatus). Symbols of simple charm, it’s hard to imagine that daisies could be anything but pure and innocent. 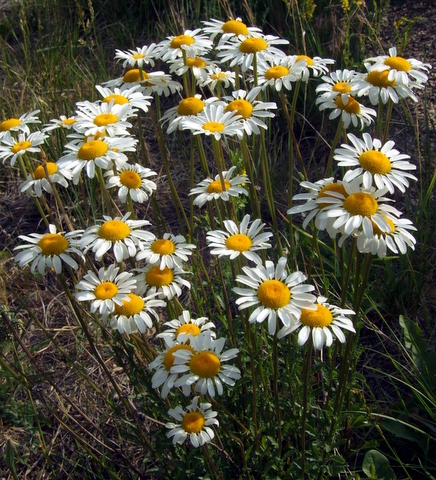 Yet, the familiar Oxeye daisy has a dark side. Under that attractive and cheerful guise lurks… a noxious weed! Take a trip to the mountains to see the wildflowers, and you’re bound to see Oxeye daisies as well. They’re all over the Rockies, preferring the higher elevations. Unfortunately, they don’t belong here. They’re native to Europe, and we heartily wish they had stayed there!